Amlapura is situated at the eastern tip of Bali. Agung Karangasem Palace in the center of the city was built in 20th century by the last king of Agung Karangasem, Anak Agung Anglurah Ketut. He imported European culture during Dutch colonial, so the building represents the mixed decorations of Bali, Europe, and China. 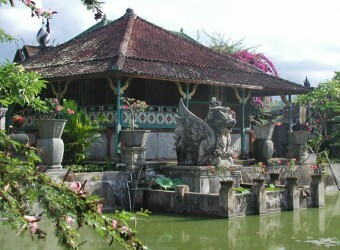 The building of Puri Agung Karangasem has unique architecture style with combination of Bali, Europe and Chinese architecture. It is decorated with beautiful interior and paintings. Garden around the palace is very beautiful.